Roger Dollarhide was able to attend this men’s luncheon and grab a few shots. Thanks Roger. 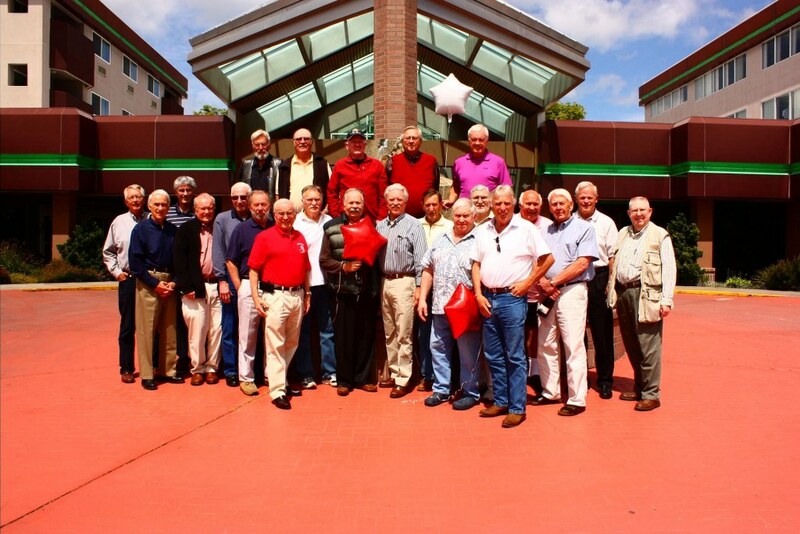 This group is not an official event of the class of 1957 but just a gathering of some of the guys in the Whatcom County area. It is open to any of the men but reservations are required due to the small size of the group and the limited space for lunch. 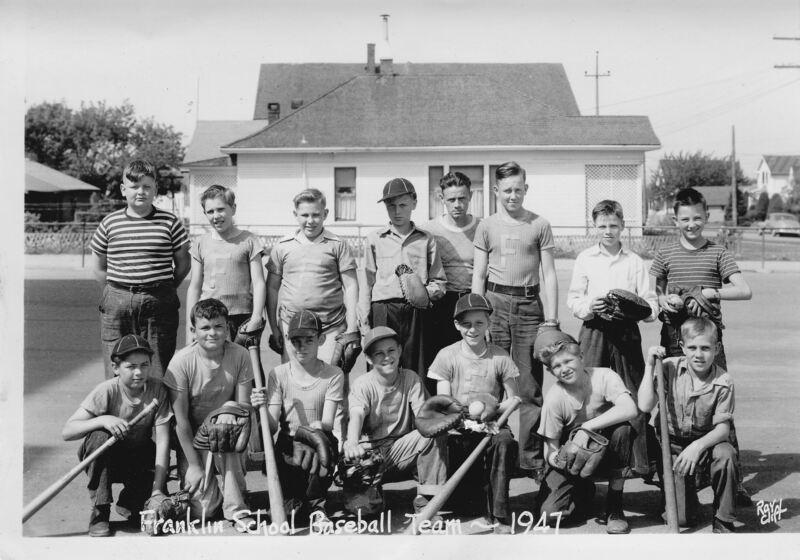 Franklin School Baseball Team 1947. Back row 1. unknown 2. Malcolm Woods. 3. Larry Prather. 4. Unknown. 5. Royal Young. 6. Laverne Immel. 7. Ted Birchall. 8. Jack Roland. 9. Larry Young. 10. Matthew Kuapala. 11. Kenneth Clapper. 12. Gomer Owens. 13. Jim Hovda. 14. Unknown. 15. Duane ?. 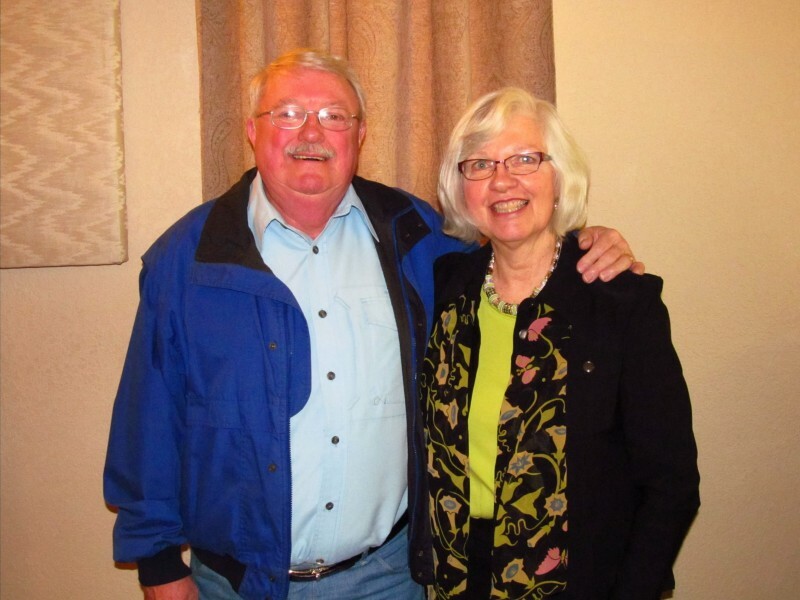 Bev would love to hear from classmates…..
Fred Norman has asked to have friends keep his wife Karen in their prayers. She has been battling cancer. They were in Arizona but are returning to Washington for more medical help. Here’s a little plug for the work-pilgrimage that Peter and I will be leading in July: Build a library/computer center in a Mayan village of Guatemala! Join a working pilgrimage July 13-24 led by Marjory Zoet Bankson and her husband, Peter. It’s a bargain in a fabulously beautiful country. For details, visit http://www.seekerschurch.org and click on Guatemala Pilgrimage. My husband passed in October after a long battle with a brain tumor. I am sitting here in Az with a good friend, Martena Markel who was married to Elton Markel for 24 years. At one time his name was listed on the obituary list of our classmates. However we do not find his name there now. Elton passed away in Bellingamheraldonline Wa, August 2, 1986 after battling lung cancer. Just received a note from Dave Haan who has along with his wife have experienced quite a few physical issues. Here is just a couple of excerpts from his recent email. Thanks for your reply. Natasha is fine because we have an excellent live-in caregiver who works every day except for a few hours in the morning while she attends Edmonds Community College. She trades caregiver time for rent. Natasha sleeps until Virginia gets home. We’ve already proven that I am incapable of doing a satisfactory job of cleaning up any soiled underwear or dressing her to sit in the kitchen/living room. I can do it, including disconnection of her liquid food supply which beeps like a Banshee when the food is all pumped into to her stomach. But I have big trouble deciding where to put which arm in her clothing. Neither of us has any fun! My Natasha is such a darling! She always has a happy attitude and is quick to point out when anything displeases her or causes her discomfort. She doesn’t complain, but she doesn’t give up pointing out problems until she gets the thought through to me. For example, last evening she kept pointing at the television and saying the word “pillow.” She had her small blue pillow supporting her back, so she didn’t mean that pillow. She knew there was a bed pillow on the floor around the end of our leather sofa, but because of her disease, she couldn’t point her finger in that direction and from where I was sitting, I couldn’t see the pillow. Ronald O. “Ron” Cowin, 72, a resident of Leavenworth died Sunday February 19, 2012 at his home in Leavenworth. Ron was born on November 29, 1939 to Fred and Eleanor (Johnston) Cowin at Glasgow, Montana. He was raised and educated in Bellingham, graduating from Bellingham High School in 1957. Upon graduation Ron enlisted in the United States Air Force. On August 11, 1960 he married Ann Marcy in Klamath Falls, Oregon. 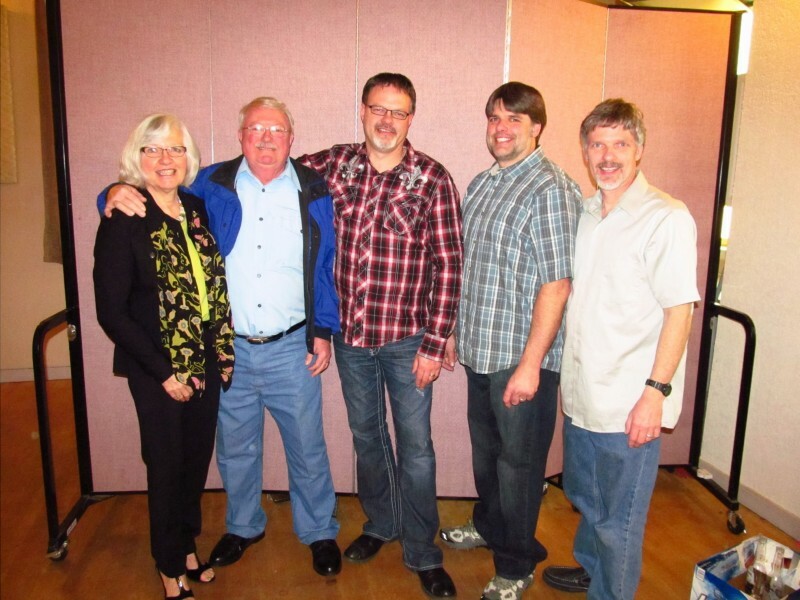 Ron started his career in law enforcement for the Lynden, Washington Police Department in 1965. He then moved on to be a deputy sheriff for Okanogan County. In 1970 they moved to Alaska where he joined the Alaska State Troopers. He was trained as an EMT and also became a Range Master and Firearms Instructor. After retiring in 1984, he moved to Wenatchee and later to Leavenworth where he owned and operated the “Gold and Diamond Meister” jewelry store and served as President of the Leavenworth Chamber of Commerce. After the fires of 1994, Ron joined the Chelan County Fire District 3 Volunteer Fire Department, later becoming one of the Commissioners until illness forced him to resign at the end of 2011. Ron also worked for approximately 10 years for Alcoa Wenatchee as EMT/Security.